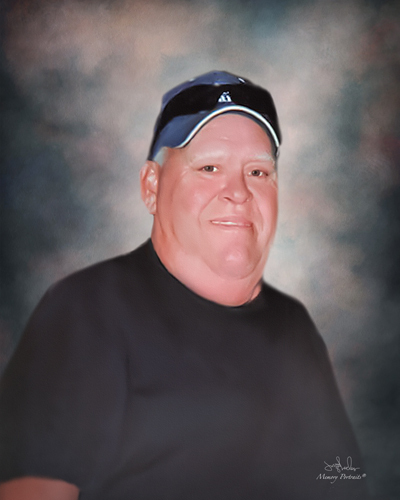 David Edward Meredith, Sr., age 66, of Chandler, IN, passed away at 11:00 a.m. on Friday, March 29, 2019, at home, surrounded by his family. David was born July 25, 1952, in Boonville, IN, to Lonnie and Beatrice (Goldberry) Meredith. He was self-employed as a mason doing concrete block work and was a member of the VFW 2953 in Evansville. David loved the outdoors and really enjoyed fishing and hanging with his buddies. He is survived by beloved wife of 43 years, Vickie (Johnson) Meredith; sons, David Edward Meredith, Jr. (Brooke) of Evansville, IN, and Charles Craig Johnson (Elizabeth Kay) of Bon Aqua, TN; grandchildren, Jerzie, Malachi, Zaythen, and Quinzee Meredith, Christopher Kenneth Coffman, Laura and Sierra Monroe, William, John, and Patty Waters; 1 great-grandbaby on the way, Bentley Meredith-Ruff; brothers, Richard Meredith of Newburgh, IN, and Larry Meredith (Terri) of Henderson, KY; sisters-in-law, Doris Meredith, Terry Witters, Joyce Fark (Jim), Becky Johnson, Deloris Stuckey, and Minnie Meredith; and many nieces and nephews. He is preceded in death by his parents; son, Kenneth Dale Johnson; brothers, Tom, Truman, Ralph, Donald, Chet, and Jimmy Meredith; sisters, Lillian Riggles, Mary Osborne, and Wilma Schultze. Funeral Services will be held at 6:00 p.m., Wednesday, April 3, 2019 at Boone Funeral Home East Chapel – A Family Tradition Funeral Home, 5330 Washington Avenue with Reverend Bryan Anderson officiating. Burial will be Private. Friends may visit from 2:00 p.m. until service time, Wednesday, April 3, 2019 at BOONE FUNERAL HOME EAST CHAPEL. Memorial Contributions may be made to the family to help with final expenses.